Dr. Yuen enjoys hosting seminars to educate colleagues and patients on SMILE/LASIK, cataract, glaucoma and common eye diseases. ONE Medical Doctors Group is an integrated clinic that provides healthcare services to the local and global community. We are a team of dedicated doctors and medical professionals who share the same commitment in improving the lives of our patients. With our robust and continually expanding network of medical services, we are poised to address the needs of our diverse population. Our leadership team is constantly exploring the latest technologies and researching on better solutions to enhance our ability to cure. Dr. Leonard Yuen graduated from University College London Medical School, holds a Master’s Degree in Public Health from Harvard University and completed a Fellowship in Cornea and Refractive Surgery in Beverly Hills, Los Angeles. Dr. Yuen spent three years advancing his sub-specialty training at the Singapore National Eye Centre. 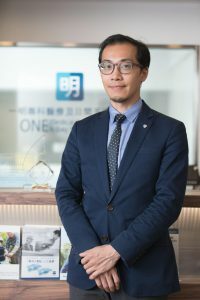 Upon returning to Hong Kong, he joined Queen Mary Hospital and was promoted to Associate Consultant. Regarding his contributions to research and clinical care, Dr. Yuen received awards from the American Society for Cataract and Refractive Surgery (ASCRS) for three successive years. In 2014, he was also the recipient of the Dr. Timothy Liu Memorial Fund as principal investigator for a nationwide survey on dry eye. Dr. Yuen currently serves as Honorary Clinical Assistant Professor at the Chinese University and is a visiting lecturer of Hong Kong Polytechnic University. An avid volunteer, Dr. Yuen regularly teaches at Sik Sik Yuen and participates in charity mission trips with ORBIS and Cambodia Vision.